A man who let his pet rat out in a restaurant in an attempt to scam a free meal was caught on CCTV releasing the beast from his pocket. Christopher Baker, 28, pleaded guilty at Sunderland Magistrates’ Court to a charge of fraud by false representation following the incident in which he released the animal at the Borneo Bistro in the city and demanded a refund from staff. The restaurant’s owner, Kevin Smith, said he reviewed CCTV footage after he noticed the rat was rather clean and tame. Lee Poppett, prosecuting, said: “Mr. Smith perhaps smelled a rat at this particular point and he retrieved the rat from the floor. “It was a black and white rat, very calm. It did not appear to be wild at all. 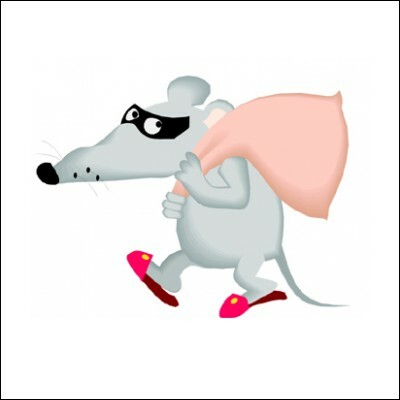 A pest control service was called out and identified the rat as a pet Mr Poppett added. He added: “Mr Smith viewed the CCTV and saw the defendant fiddling in his pocket. He waited until a family moved from the table next to him and retrieved what appeared to be a rat from his pocket and dropped it on the floor. Mr Baker told the court the rat was a gift he was keeping for his daughter and that it it bit him and fled his pocket. But Mr Smith, speaking to the Sunderland Echo, called Mr Baker “the scum of the earth”. He added: “People like him deserve the death penalty. “As far as I’m concerned, he shouldn’t be in our society. “He is no use to anybody and he’s caused nothing but grief.